You’re ready to expand your outdoor living space by installing a new paver deck, but want to make sure that the end result is something you’ll love for years to come. Before you hire a landscape designer to install your new paver deck, make sure you’ve thought about a few important things. 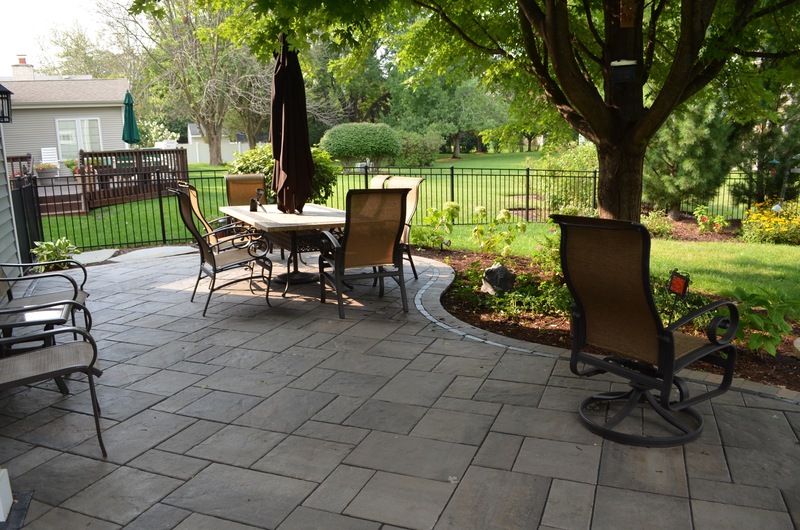 Decide on the best paver deck size and shape by thinking about your lifestyle. Do you prefer a curved and freeform look or lean towards modern and straight-lined? Does your lifestyle include entertaining large groups or just relaxing with a few family members? You won’t want to limit your design by only leaving room for a family of four if you want to host outdoor parties and entertain larger groups. Consider the type of patio furniture you plan on using. The size of each piece, the quantity, and your plans for arrangement. These factors should all play a part in determining the scope of your paver deck project. You may want to include built-in seating walls, seat benches, or traditional patio furniture. Inquire about low maintenance pavers. Paver decks are generally a smart choice for homeowners who don’t want to spend a lot of time and energy on maintenance. Unilock pavers, for example, are constructed using manufacturing technologies that prevent fading, staining, and other types of damage caused by weather, use, and time. Consider your preferred paver style. For example, if you lean towards romantic or classic styles, you may be drawn to Old-World Unilock paver styles like Copthorne or Townhall (incorporating Copthorne Basalt borderwork). If you prefer a more contemporary look, Beacon Hill Flagstone or Bristol Valley may be more appealing to your tastes. Current trends feature modern paver styles and neutral gray colors. The Unilock paver products used by Landscape Creations make it easy to incorporate your individual style, the architectural tone of your home, and a high level of functionality. Think about the best location. Your deck’s location will depend on the amount of space that you have to work with, and best placement for your pool. Drainage and elevation are two key factors to consider. You should also consider including a few shaded areas that can provide respite from the afternoon sun, contemplate the views from your future deck’s location, and your desired level of privacy. Consider the type of lighting you want to include. The right outdoor lighting will enhance the aesthetic appeal of your pool deck, improve safety, and create nighttime ambiance. Think about leaving some space for storage. Pool toys, cleaning supplies, and spare patio chairs should all be stored when not in use. Consider space for a storage cabinet, storage benches, or other types of creative storage solutions. Otherwise, you’ll clutter up your patio area, and lose space that could be used for relaxing and entertaining guests. Consider your future backyard plans. In years to come, your family might grow, you may want to entertain more, or add an addition on to your home. If you have future projects in mind, be mindful of the potential scope and requirements. 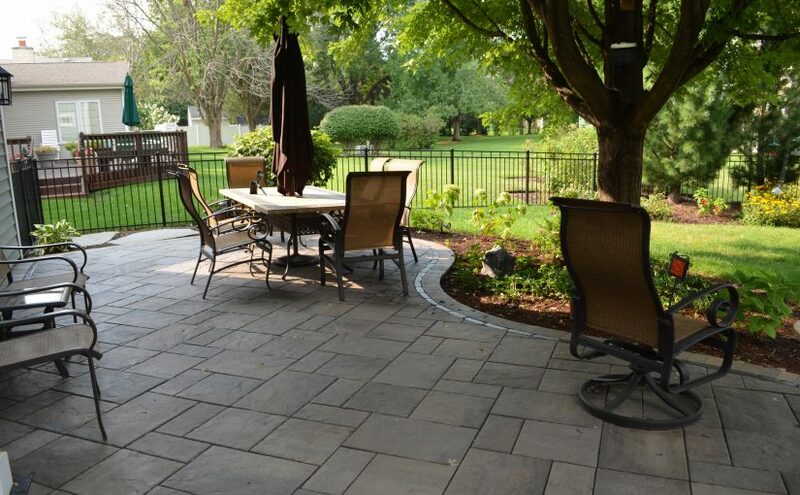 Since Landscape Creations is an authorized Unilock contractor, learn more about Unilock’s paver products, our installation methods, and our workmanship guarantee.